The countdown timer has struck zero and British Pie Week 2015 has begun – so what more motivation do you need?! Grab a pie, make a pie, tweet your #PiePledge. Here’s some things you can do this British Pie Week! You can see some of the events going on up and down the country on the British Pie Week Facebook page. You can follow the Pierateers on Twitter and find out how their crazy #PiePledges are going! Think up some puns for the Pie Dictionary! As for the Pierateers, we are ready and waiting for probably the biggest British Pie Week yet! Pierateers RAS and SJL are competing in the #Pieathon challenge where they both see how long they can last eating only pie! Pierateer RAS will be also be attempting the 50:50 pie challenge over the whole week! It seems this year, more than any before, people are bigging up British Pie Week. Plenty of pubs and shops are doing something special for British Pie Week and even Jus-Rol, creators of British Pie Week, have got on board more with a dedicated @BritPieWeek Twitter feed and a #PiePledge to donate money to charity for every follower they get on Twitter! And while we may not have the amazing Pierate Logo pie to enjoy this year (made especially for us by Nice Pie, the stars of a recent episode of Channel 4's "Jamie and Jimmy's Friday Night Feast" with their squirrel pie being a real conversation starter!) we are certain there will be plenty of pie antics this coming week! Especially if our crazy #PiePledges are anything to go by! 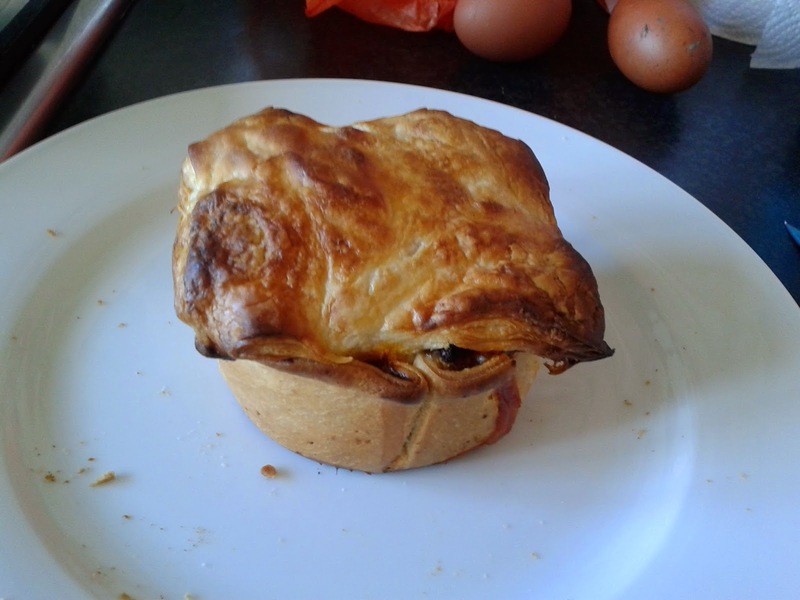 Having stayed up past midnight, Pierateer Rob saw in British Pie Week 2015 by posting this first day article alongside tucking into a Mr Kipling Apple Pie. This was the first of a number of fruit pies to start his #Pieathon challenge. And it was great to see a good handful of pie fan seeing in British Pie Week with us, with over 30 views in the first half hour! Here's to many more pies and pageviews this coming week! Waking up to hear that there had been a British Pie Week shout out on known pie celebrity Chris Evans' breakfast show on BBC Radio 2, it seemed to kick off a #BritishPieWeek twitter storm and there was a sharp boost to our pageviews as a result of our pie tweeting as the hashtag trended as the second most popular phrase on twitter at one point! 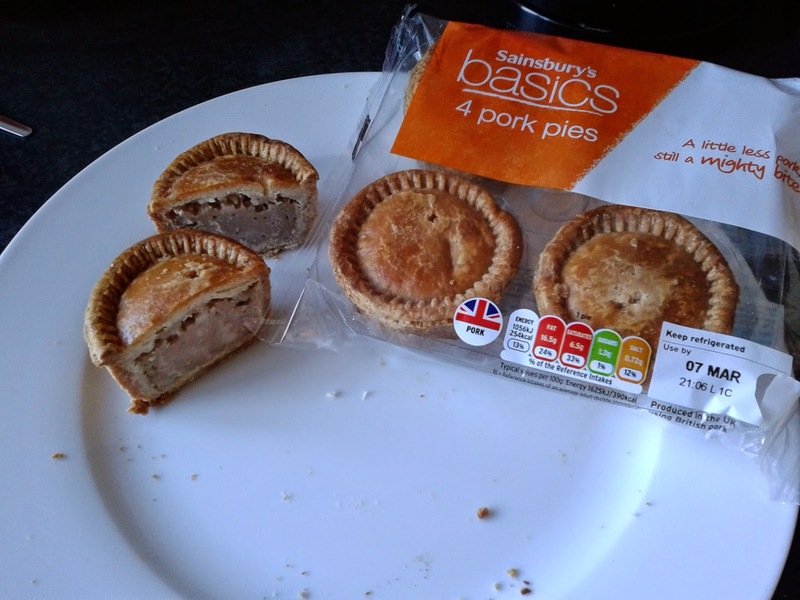 Having enjoyed two more Mr Kipling Apple Pies for breakfast, Pierateer RAS tucked into half a Pat Gorman Pork Pie for lunch and then tried some 99p steak pies from Aldi for dinner - though these did not go down well! Full reviews of those to follow later this week! 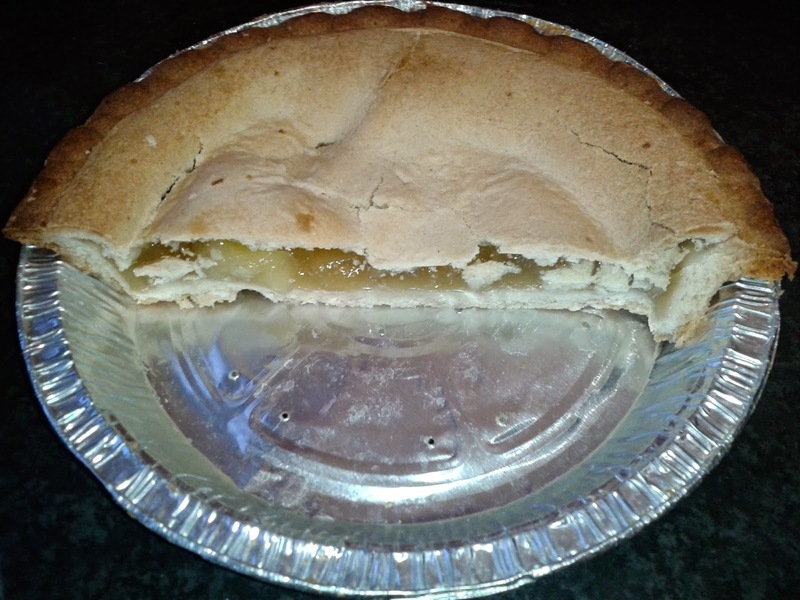 The day was rounded off with another couple of Mr Kipling Apple Pies for dessert and supper. All in all it was quite a low pie count, considering all he ate was pies, but Pierateer RAS put that down to being so busy volunteering at the Badminton in the NIA on day one of the tournament that he hardly had time to stop for pie! 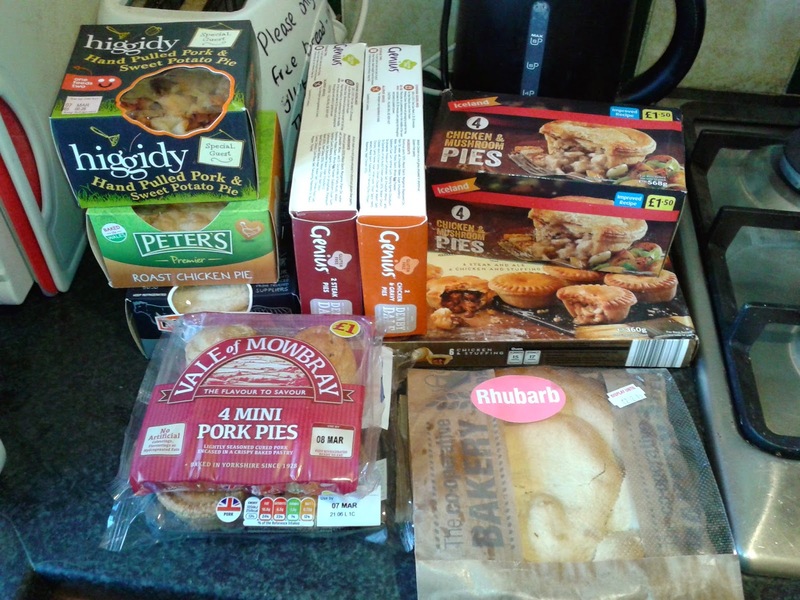 Pierateer SJL and ALE had stocked up on pies for British Pie Week, see photo below. Pierateer SJL is attempting the #Pieathon PiePledge, how long can he last eating ONLY PIE? 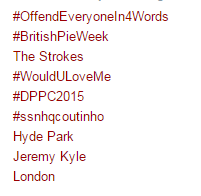 Pierateer SJL had a controversial start to British Pie Week. He decided to go for a Cooperative Rhubarb pie (which was the pie he also started British Pie Week with last year) but it turned out to be a Cooperative Apple pie! Oh well... it was still a pie at least, not a slice! SJL had half the pie for breakfast and finished the other half during the day. Two Sainsburys Basics small pork pies quickly followed the Coop pie before 9 o'clock had even been reached! At lunch time Pierateer SJL had another controversy, when he opened his Higgidy pie he realised there was no lid, it wasn't a real pie! However, he added a small piece of pastry on top to quickly fix the problem and get on with reviewing this Pulled Pork and Sweet Potato pie. 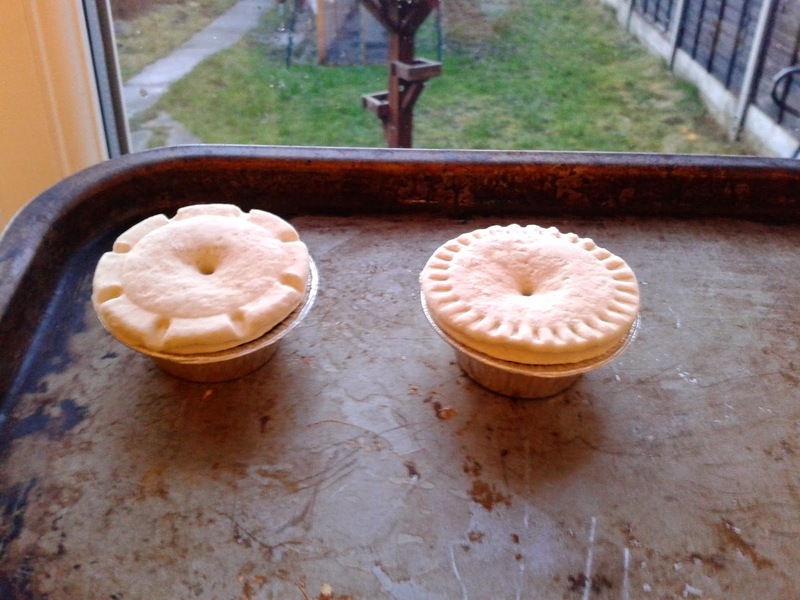 The Higgidy pie was accompanied by two very small Iceland party pies (which served as a starter whilst the Higgidy pie cooked). For the #Pieathon challenge SJL attempted something completely new, cooking some pasta in order to make a Pasta Pie Bake. 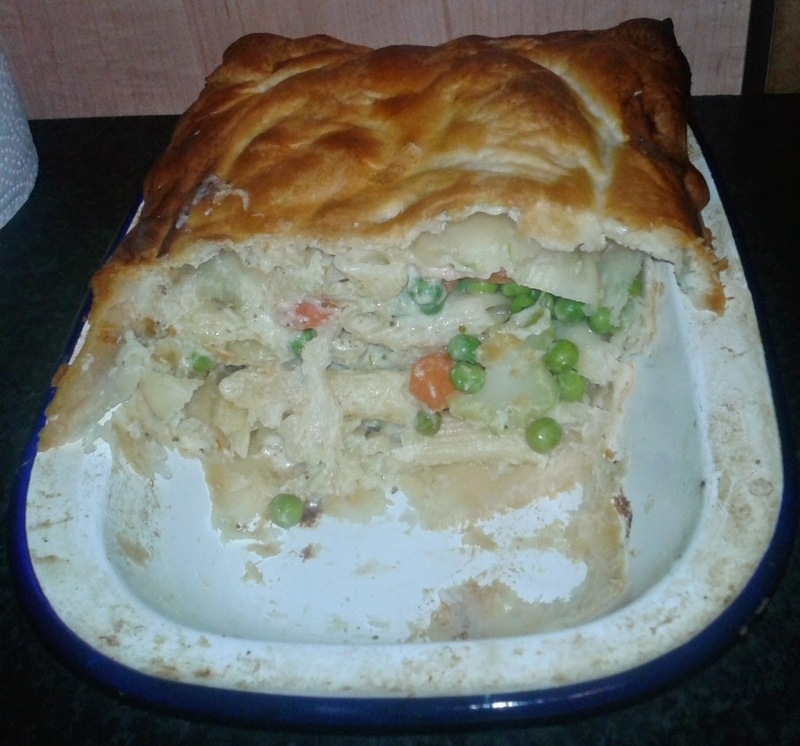 A creamy pesto sauce worked well inside the pie, as did the addition of vegetables. 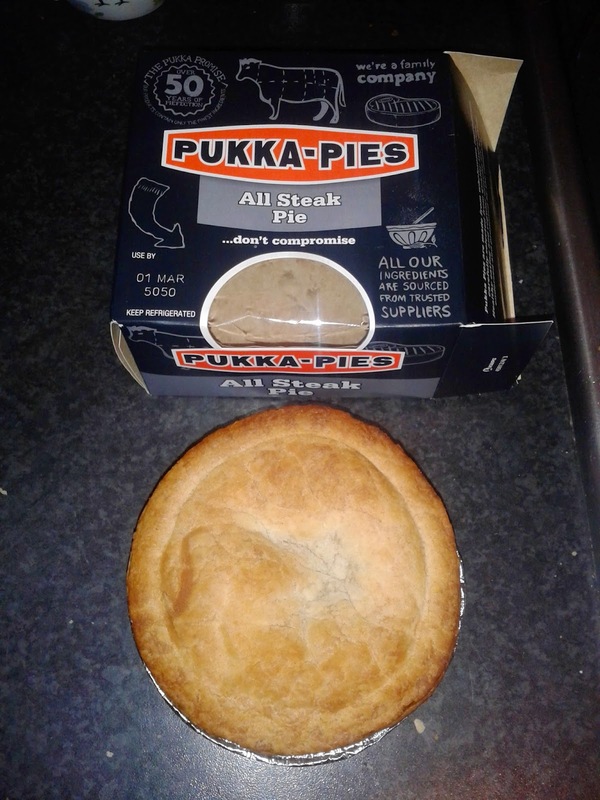 However, it was quite heavy due to massive amount of carbs so SJL only managed half alongside a famous Pukka Steak pie, which was in fact one of the very first pies reviewed on Pierate. Having eaten 3210 calories and seven and half pies, SJL had successfully navigated a whole day of the #Pieathon challenge having eaten many more pies than normal. However, he was still some way off the 3362 calories consumed on Day Two of British Pie Week 2013. Pierate Pie Reviews - Pie advisers to the BBC! While Pierateer Tim may be about to fly out to Greece in search of Greek pie, he still had time to write a brand new article entitled "What People Are Saying About Us" - featuring among other things our appearance on the BBC Sport website in their "Pies of Football" video and our appearance on Great British Bake Off: An Extra Slice with our Crocodile Pie!!! And before he set off Tim also had time this weekend to promote the Princess Victoria Pork Pie Off, happening tonight (Monday 2nd March) for all those who live in London and love their pork pies! Plus you'll be eating pies to raise money for charity! See our Pork Pie Off 2015 article for why you should go!